Note: This article was initially published in the April 2016 issue of the satirical publication The Really Independent Florida Crocodile, as well as its online counterpart. It is satire, and is not meant to be taken as a serious news piece. 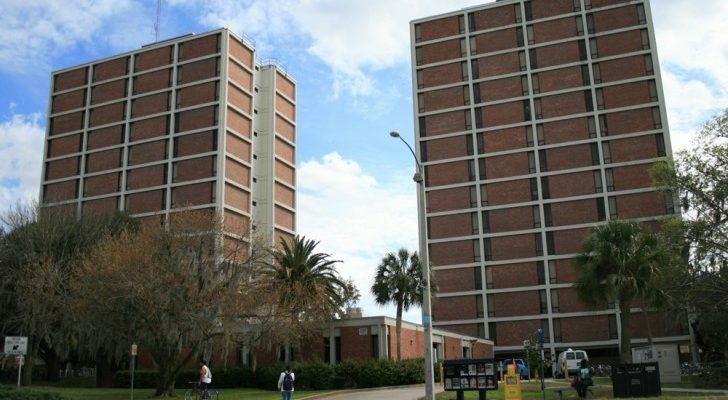 The University of Florida Housing Department announced plans to replace the Beaty Towers elevators with rock climbing walls this Tuesday. Students seem excited about the potential change, as so many of them have been victims of the terrible elevator experiences that plague the dorm building. Even when the elevators do work, residents of the hall claim that being inside them is worse than waiting the average 2.5 hours it takes for them to come. According to Snyder, rock-wall construction will begin during June, with an expected completion date of May 2020. During this time the officials claim life in the dorms will resume as usual, except Beaty Towers residents will be asked to take the stairs to travel to their floor and are suggested to buy earplugs for the 24-hour construction that will be taking place. We sent reporters to investigate said claim, and discovered that upon traveling to the upper floors of the complex, you will be faced with a gray abyss. Scientists later confirmed that this abyss was actually just cannabis smoke. 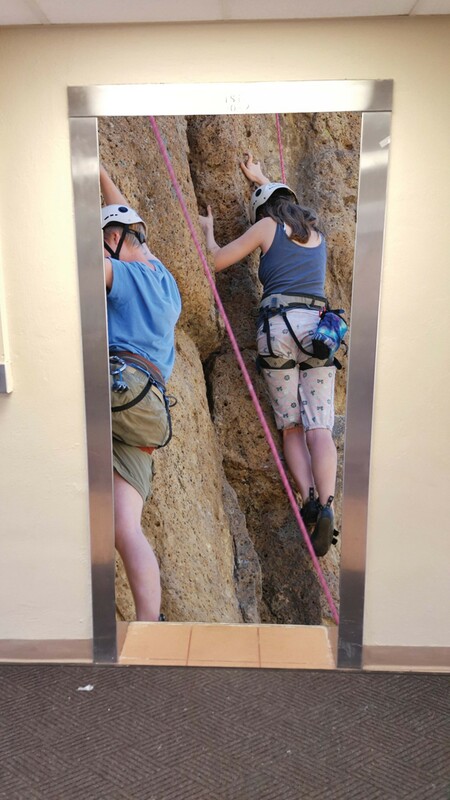 Julia Davidson, Snyder’s assistant, explained that rock-wall safety instructors are required at all times for students to climb. Therefore, they will be stationed by the wall entrances from 10 a.m to 2 p.m every Monday, Wednesday, and every other Friday. Any other times they suggest the students “find a friend” to help out. It is rumored, but not confirmed, that the stairs will be replaced with inflatable waterslides.